Nalder Funeral Home was established in Shelley, ID in 1934, by Lloyd Morgan and Virla J. Nalder. At that time it was a furniture store, funeral home and ambulance service. In 1976 the ambulance service was discontinued due to the start up of the Shelley Q.R.U. In 1995, the funeral home moved to its present location at 110 West Oak. Nalder Funeral Home has been serving Shelley and the surrounding area for three generations. It has been family owned and operated for over 70 years. Lloyd Morgan Nalder was born in Kaysville, UT. His family moved to Southeast Idaho. Lloyd worked for Eckersell Funeral Home in Rigby before establishing Nalder Funeral Home in 1934. 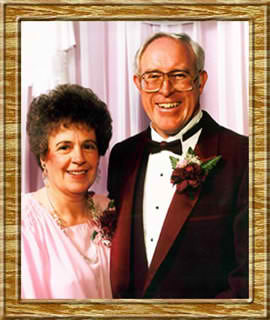 Lloyd was married to Virla Johnson and they were the parents of three children, Gary Lloyd, (Virla) Sharlene and Lanny J. Nalder. Gary Lloyd Nalder was born in 1931 to Lloyd M. and Virla J. Nalder. He helped his father in the business all of his life. He attended Idaho State University, where he played on the basketball team. 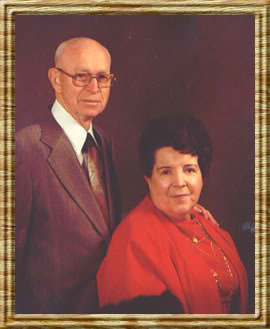 In 1951 he married his childhood sweetheart, Inez Tew. He received his Mortuary Training at the San Francisco College of Mortuary Science. He worked for Westinghouse at the A.E.C. Site and worked evenings and weekends at the funeral home, until he took over in 1977.